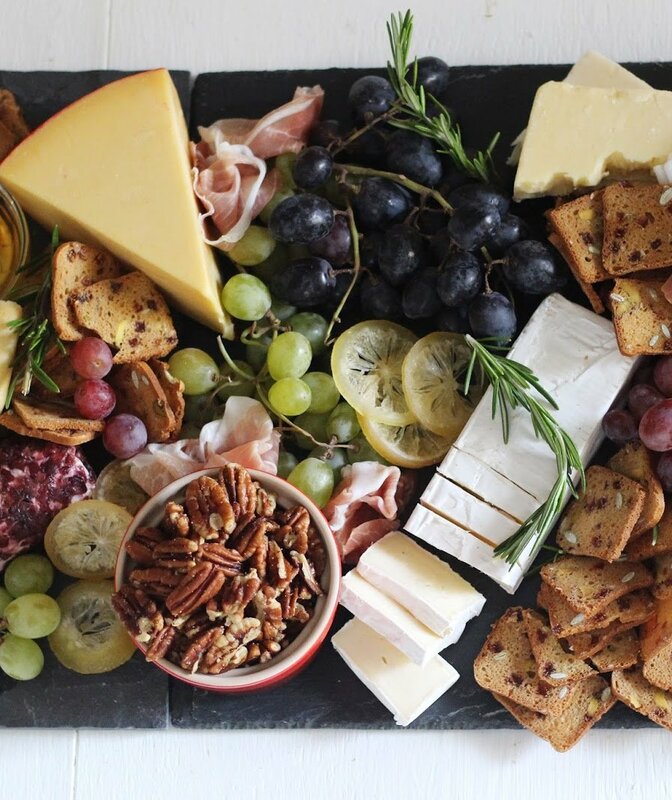 So you’re putting together your holiday cheese plate. Or you’re standing at the cheese counter at the grocery store, tasting some samples from the display case. You take a bite of a lush wedge of brie, but when you get down to the rind, you stop. Should you eat around it? Toss the rind and sacrifice the remaining cheese clinging to it? Or should you just go right ahead and take a big bite out of it? Tom Bivins, executive director of the Vermont Cheese Council, thinks you should take a deep breath, face your fears and eat the rind. He chatted with Food & Wine about why eating the rind help will help you appreciate the cheese, plus the varieties you need to add to your cheese board this holiday season. Unless there is wax, cheesecloth or paper on the rind, Bivins says you don’t need to worry about getting sick if you take a big bite out of the rind of your cheese, which Food & Wine has pointed out before. “Just taste a little bit, you’ll be fine. The cultures are good for your gut health and they aren’t going to hurt you,” he says. “No cheesemaker would put anything on the cheese that would be harmful." Not only is the rind safe to eat, but trying it out will actually better appreciate your cheese. Bivins says that when he’s tasting cheese with people who less familiar with cheese than he is (which is most people) he always encourages them “sample a little bit of the rind,” in order to better understand what the cheesemaker was trying to accomplish with the flavors of the final product. The first type is, of course, the non-edible variety, made from wax, bark or paper. Every other type of rind is safe to eat. The second is a bloomy rind, which you’ll find on cheeses like brie or camembert. It’s usually “snowy white or line colored,” according to Bivins. The third type is the washed rind, which usually takes on sticky texture and a “reddish orange color” and most commonly appears on what people think of as the “stinky” cheeses. In Bivins' experience, this is the type of rind that most often “freaks people out,” but rest assured that the rind is simply created by secondary culture—introduced by the cheesemaker—working on top of the cheese. Finally, there is the natural rind, the type that forms naturally on cheese during the aging process, and is typically found on cheddar and parmesan cheeses. With a bloomy rind, expect to taste “mushroomy, woodsy” flavors. Washed rinds, on the other hand, are created not just with bacteria, but with a salt brine as well. “[The cheese makers] take the cheese off the shelf, and they wash it with a brine made with salt, and then if they want to flavor it, they would add that flavor to the brine,” explains Bivins. This process only happens once the cheese is set. He adds that it’s dipped into the brine, and then set back on the shelf, where the bacteria continues to grow. Washed rinds can be flavored with “with all kinds of things, including cider, cognac, beer and wine.” The result is often a salty bite from the rind, followed by the creamy cheese. A natural rind, on the other hand, tends to have a more bitter taste, but during the aging process, Bivins says that bitterness of the rind has an effect on the overall flavor of the finished product, often imparting the cheese with woodsy, smoky, or meaty flavors. “I’ve found that people who shy away from those stinky cheeses are hooked once they taste them,” Bivins reveals. He encourages people around this is the time of year to be adventurous with their choice of cheese. “We avoid indulging all year long and this is the one time we can enjoy rich and intensely flavored cheese,” he says. One the best ways to impress your guests this holiday season, Bivins advises, is to add a funky cheese to your cheese board at your next cocktail party. Bivins has a few favorites, including one he alternatively calls “cheese crack,” and “milk pudding,” the Jasper Hill Farm Harbison, a soft cheese with a bloomy rind. He also recommends trying a cloth bound of bandaged cheddar cheese, and varieties with a washed rind. Some his favorite washed-rind cheeses come from Consider Bardwell Farm in Vermont, and another from Jasper Hill Farm, the Willoughby. The Reserve cheeses (most recently the Rush Creek Reserve, which was released on November 8), produced at Uplands Cheese Company, are also worth a try. According to Bivins, when the cheese company presented its products at a recent competition in Italy, the judges were shocked to find that such a tasty cheese was being produced in America. “There are some amazing cheeses being produced here. Even the French are beginning to realize that some great cheeses are being made here,” Bivins quips. With that in mind, now is the time to create the dreamy cheese board you’ve been fantasizing about since the December 1 (and here’s all our advice on how to make it perfect). This holiday season, go forth and serve the smelliest, creamiest, cheese you can find at your holiday party—and then when you’re finished, eat all the rinds. Go ahead, you have permission from an expert.